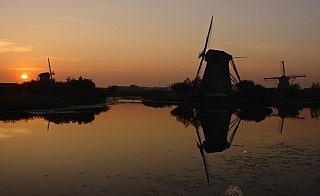 Welcome to Travel Guide 2 Holland, the site about travel, tourism and vacations in the Netherlands. The Kingdom of the Netherlands (Dutch: Koninkrijk der Nederlanden) is a country incorporating two autonomous regions in the Caribbean, the Netherlands Antilles (Dutch: Nederlandse Antillen) and Aruba, and a European region known simply at the Netherlands (Dutch: Nederland). Both the Netherlands Antilles and Aruba are located in the Caribbean Sea, whereas the Netherlands is located in western Europe, bordering Belgium and Germany, with a coastline on the North Sea. 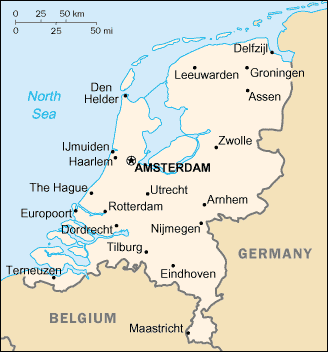 The term "Holland" is frequently used to refer to the Netherlands, both in English and even in the Dutch language, however this is technically incorrect, as Holland is actually simply the name of the central and western part of the Netherlands, containing two of the country's twelve provinces. As of 2006, the Kingdom of the Netherlands had an estimated population of just over 16.8 million of whom, 16.5 million lived in the Netherlands, just over 100,000 in Aruba, and just over 200,000 in the Netherlands Antilles. 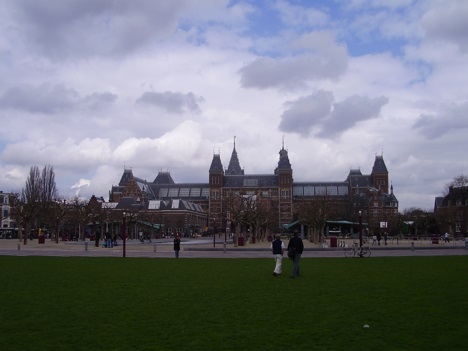 The capital and largest city in the Netherlands is Amsterdam, which as of 2006, had an estimated population of 743,104. There are 20 other cities in the Netherlands with populations of over 100,000: 's-Hertogenbosch, Almere, Amersfoort, Apeldoorn, Arnhem, Breda, Dordrecht, Eindhoven, Enschede, Groninge, Haarlem, Leiden, Maastricht, Nijmegen, Rotterdam, The Hague (Dutch: 's-Gravenhage or Den Haag), Tilburg, Utrecht, Zoetermeer and Zwolle. Almost half of the Dutch population, 7.5 million people, live in Randstad, which is the collective name used to describe the conurbation encompassing the four largest Dutch cities, Amsterdam, Rotterdam, The Hague and Utrecht, as well as numerous smaller cities, including Almere, Dordrecht, Haarlem, Leiden and Zoetermeer. The Netherlands has a developed and successful economy, with the 16th largest economy in the world, and the 10th highest GDP per capita. The country is a founding member of the European Union and the eurozone, and cooperates particularly closely with Belgium and Luxembourg as the Benelux grouping. Important industries in the Netherlands include electrical machinery, food-processing and petroleum refining. Additionally, Slochteren, in the Northeast of the country, is home to one of the largest natural gas fields in the world.